“Your simple exercises and take aways are truly empowering and are helping me connect the dots. However I vacillate. And today felt particularly hard… My question to you/Neville is how do I stay in the I Am state of mind, and thereby create and sustain a new reality that is financially abundant, peaceful, healthy, loving, harmonious reality? Is there a simple technique that a newbie like me can use today?” – Newbie. What we just LOVE about Neville..
…and how he taught us to Feel It Real, is that Neville was REAL. He shared his ups, he shared his downs, and he helped us get the power that we are – by teaching us from experience. Let’s dive in now with the words of Neville. “the movements of his attention” so that that he AT ALL TIMES remains faithful. And yet, he still got amazing results. …let’s take the next steps with Neville – so that you get the results you want in life. Notice the steps Neville shares in this paragraph that we are exploring together today. …and then STRIVES every day to become that which he has chosen to embody. Remember, when you come FROM the state of the wish fulfilled, your reactions to the world demonstrate that. POWER POINT: Get in the habit of noticing,.. Deciding to notice daily if you are reacting to the world as that person you have chosen to be – invites you to be even more faithful to that state – so it grows and grows in your world. Example: One of my chosen states is INVESTOR. I get to notice, is what I am doing now – a reaction to the world as an investor. When my computer broke down when we were making Manifesting Mastery, I had a decision to make. …which would have taken me hours to set up properly, time to pick up, time to return, and the money for “renting” it. to get me by, until I got my main one back from the repair shop, weeks later. Judgement tends to come in two forms. You judging YOU for straying, and you judging if your wish is coming true or not by looking at the external world. Stop doing both. …doesn’t return you to your chosen state, and often it just feels bad. And if you are FEELING BAD, you will manifest more opportunities to FEEL BAD. … that means you are LOOKING FOR SIGNS instead of FEELING IT REAL. Looking for signs – is SPENDING your time. FEELING IT REAL – is investing your NOW, into your chosen future. In any moment, you can judge or you can create. Chose which one you wish to do today. Choose to DIVE DEEPER and to IMAGINE LOVINGLY! What would have happened if Edison accepted what reason and the senses dictated, after him striving for thousands of attempts to create the lightbulb? If Edison accepted what reason and senses dictated, we wouldn’t have the electric lighting. Be like Edison, and Neville – strive to be the person you choose to embody, and refuse to accept what the senses dictate. As a little boy, while gardening with Grandma, she used to say we plant by faith, and not by sight. We would place tiny seeds in the ground. Then we watered them faithfully, every day. Then when conditions were right, they sprouted. You don’t START to water it AFTER you see the sprout. And you don’t dig it up to see if it has sprouted. You place it in the ground, and you water it. You remain FAITHFUL to your seed, and you get to experience the miracle of life. So do your Feel It Real Sessions, feed the seeds. Suspend all judgement. Notice if you have strayed and get back on the path by refusing the world of the senses. And remain faithful. Remember, Neville too would have moments when his mind would stray. And if you do your daily Feel It Real Sessions, you will feed the seeds – your chosen states – so that it becomes easier and easier to walk from the state of the ideal you – the state of the wish fulfilled. Firm Foundations – Neville Goddard In His Own Voice – Click here. Listening to our Neville Goddard mp3 recordings in the garden and while driving gives heaps to us. And the garden too! The Feel It Real Power Pack – Detailed Instructions on How You Can Effectively Feel it Real. 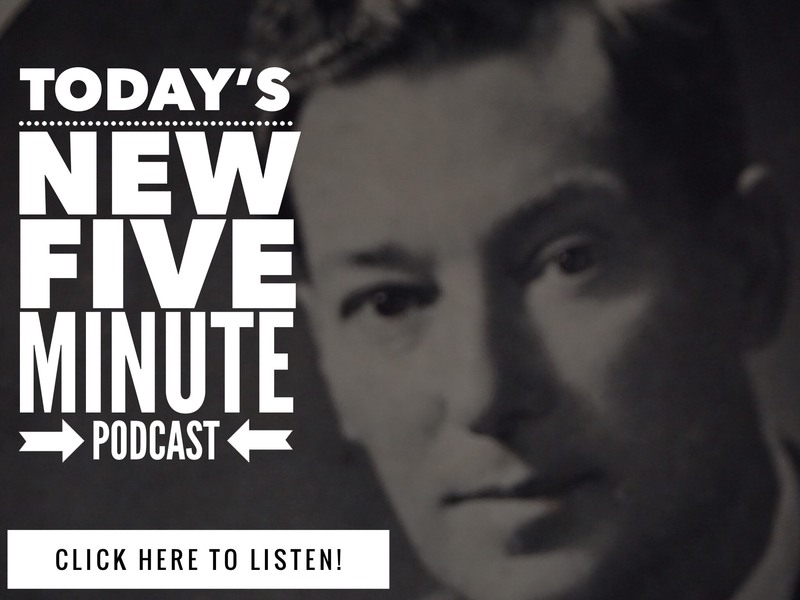 6 Comments on "NEW: How Neville Goddard Manifested – Remain Faithful No Matter What!" I love your stuff and appreciate the daily insights. To help “Newbie” I offer the following. Hi…Ok, I’m stumbling some with my visualization(I guess some of us need our hand held a bit before we take off and FLY! :)) I have a daily short little visualization where I imagine(and FEEL)me and 3 friends sitting in a bar booth with them telling me Congrats and toasting my having received my new house and being able to maintain it. Also them congratulating me on having received a huge sum of money! My question is should I just let it go at that or specify a particular amount? I added the sum of money since in order to maintain(& decorate)a house I’d need more money than I currently have! I know not to say where it comes from and let the universe handle that. Any corrections or suggestions WELCOMED! What would your friends truly congratulate you on? Odds are, that is what will Feel Real, and REALLY impact your world. If they would be congratulating you on a “specific sum”, and that feels REAL to you, then use it. If not, determine if feeling them congratulate you on repeatedly doubling your income, until you got to an income level. Again, what feels real to you? Let us know by reply, what you think and find out. What an inspiring story. Victoria and I visited Christchurch after the quakes a while back. Your holding onto your vision is a great gift and accomplishment. Thank you for sharing with the group. Ignore the senses, feel the state and walk it in. Miracles are often right around the corner. I’ve experienced having things arise that would throw me for a loop as I was trying to create a new state of being too, and I see that in many of my spiritual/abundance coaching clients as well, so I can very much relate to “Newbie”. The way I resolved it and have seen my clients do as well, is to see themselves as the person they want to be, in this case not being tossed about by the world or other people etc.. and it will begin to happen. In other words, if an “issue” is blocking what you are trying to create, simply create yourself without that issue! When I did it, I would visualize and feel myself as being totally positive in my outlook and thinking and living as I wanted to live, and I noticed an almost immediate change and eventually I became free of the old reality. It took some time for things to shift in my case, but now I am no longer swayed by the world or appearances of my old reality. If something does come up, I apply the same technique, and it shifts and mysteriously disappears. I try and ‘do one thing every day’ that supports my walking in my wish fulfilled: I am a shirtsleeves philanthropist. No need for waiting to ‘hit the LOTTO”..the lotto is WON – NOW. This morning, I visited my favorite jeweler near our house, the guy who repairs all the dented, tarnished, recycled jewelry we find, restores each piece to its amazing best – and we pass them on to our circle of longtime clients. Along with other reconsidered flotsam. A pair of badly stained, Mexican silver earrings – tiny little elephants, came into my possession recently. And I asked my jeweler, “Hey, can you please polish these lovely ‘elephants’ for our friend?”..in other words, I ACTED AS IF..the philanthropist, making ready to gift something to the beloved receiver. And ten minutes later the earrings shone like the stunningly beautiful pieces they were. The lady who got them, BTW put them on, with tears in her eyes. I said, “You are one in a million, and so are those. You’ll never see another pair of earrings quite like that..and you are pretty unique yourself! You guys belong together. ” I walk in the wish fulfilled. I am that philanthropist. And if you ask my clients – everything we give, to each person, at any time, is welcomed and cherished, because of the way we walk, and lovingly imagine it for them, too!